Most travel stories paint the destinations in glowing terms with words like ”stunning”, “amazing” and “superb”. This is not a story like that. This is the story about how wrong a day trip can go if you have a bad guide, a shambolic destination and an itinerary that is virtually impossible to follow. Yet, it all started so well when I booked the day trip to Xiamen on our cruise ship. 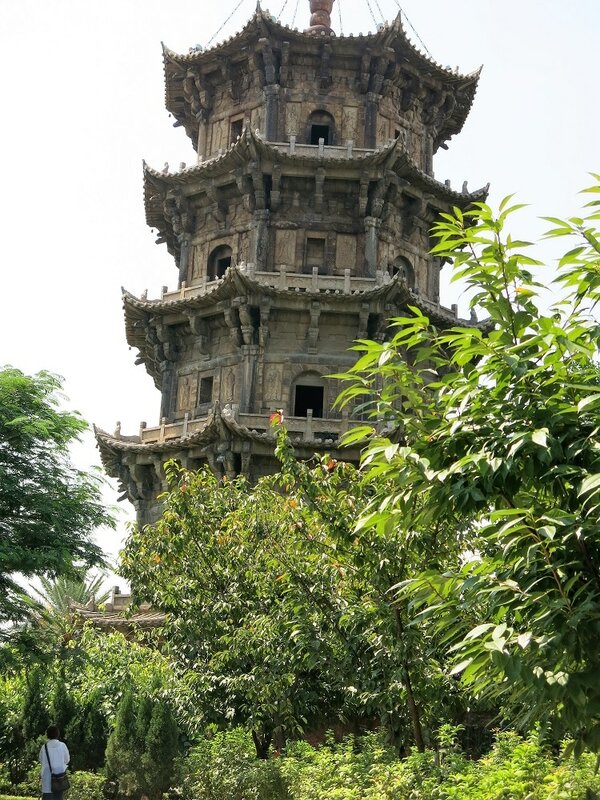 It ran something like this: “Tour and shop in the exciting new city of Xiamen before experiencing the beautiful Chinese landscape as we take a leisurely trip to Guangzhou (formerly Canton). Lunch at a traditional.” You get the drift. I should have known something was wrong when our young Chinese guide led us off the ship and started running towards a fleet of buses. Carrying a knee injury, there was no way I was running and at least half the tour group fell behind with me. Now, when you get to a line of buses and everyone is wearing the same outfit and all look the same, holding signs in Chinese it gets a bit confusing. I finally found our bus after 10 minutes but rounding up the rest took a lot longer. “We are running late so we will have to change the itinerary,” shrieked the tour guide. 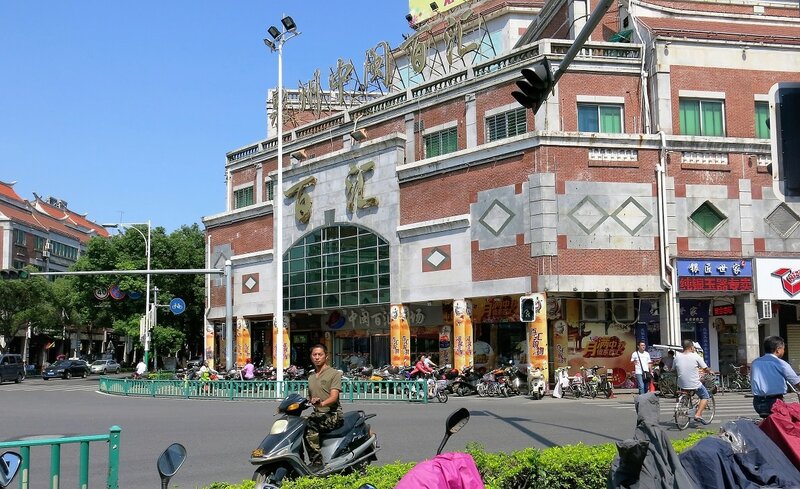 Our shopping and sightseeing tour of downtown Xiamen lasted just one lap of the main street while we gawked out of the windows. Xiamen looked like an interesting place and I was beginning to wish I had just spent the day there exploring independently. The city is a modern port that has boomed from a seaside town. The air pollution is horrendous. Our bus turned back on to the freeway and became embroiled in an hour long traffic jam. Finally we sped off in the direction of Guangzhou at high speed. Our exploration of the countryside consisted of a toilet stop where the Chinese just glared at the tourists without any expression at all. Suddenly the PA system blurted to life again: “We are running late so we will have to change the itinerary,” she shrieked again. We finally arrived at Guangzhou and it turned out to be an impressive older city with no air pollution to speak of. 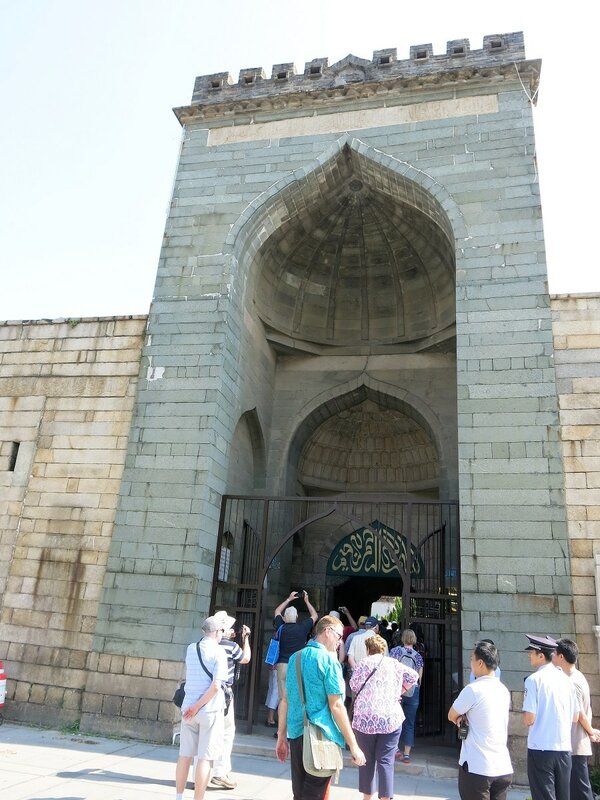 We promptly stopped at an historic Muslim mosque. Just why she seemed to think we would be interested in spending an hour and a half in the ruins was beyond me, but there we sat slowly cooking in the hot sun. Finally we moved off and she proudly announced we would be visiting a traditional old shopping and market precinct. After spending so long at the Muslim church we were finally going somewhere interesting. I said: “No, we want longer” and most of the group stood firm with me. But not for long, she started to run flat out towards the bus double parked 100m away and most of the group went with her, all running down the street. It looked ridiculous. It was ridiculous. I took a couple of photos and sauntered back to the bus at my own pace. There was a glare from the guide and the bus driver that made me shiver. She jumped on the PA and screamed: “We have to change the itinerary because (glaring at me) some people have held us up”. Next stop was the historic Temple of the Six Banyan Trees. We parked about ten blocks away and once again our guide ran off down the street with some tour members trying to keep up. The rest were strung along a 2 km route. I did make it to the Temple, took one photo and then started walking back. Finally I had some time to chat with a couple of locals, visit a few shops and enjoy a coffee and an ice cream. 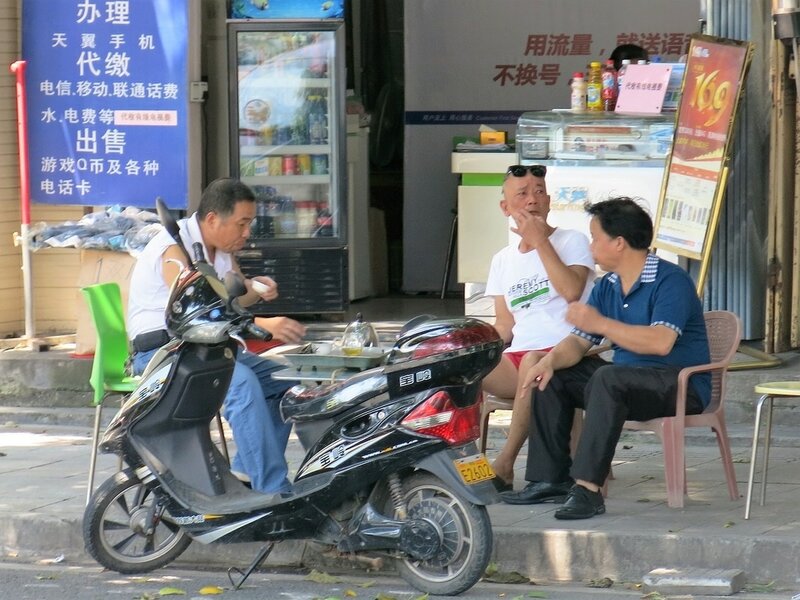 Life in Guangzhou is very traditional in every way and it was quite a culture shock for some of the less travelled members of the group. People lived on the street, they cooked on the street, they tossed leftovers in the street...you get the drift. “Well, I guess we now are even sweetheart,” I said and climbed aboard the bus with some applause and laughter. There are lessons to be learnt here and most of the problems were caused by my lack of research. I wrongly thought the cruise line knew what it was doing, but, like many cruise lines, they had no idea how to organise a shore tour. Yet they still charged $175 for a disaster. Next time I will research all the tours properly or maybe organise a local guide to show me around for $50. If the shore tour doesn’t reach expectations, tell your shore tour manager on board. Enough complaints and he or she will have to act. PS: I found out some days later when I made a complaint on board ship that the tour guides were actually college students who were learning English and did the tours to make extra cash and “talk the talk”. That explains a lot. Maybe they also training for the athletics at the Olympics?